Greek Prime Minister Alexis Tsipras vowed to take all necessary measures in order to complete the third bailout review. “I will immediately convene the cabinet to take the necessary steps to complete the review as soon as possible,” he added. Greece is determined to outperform its fiscal targets and speed up the conclusion of the review, but Athens expects that its lenders will act “in good faith” and help it achieve its goal, he added. On Monday, the technical experts of the country’s creditors will arrive in Athens to start the preparatory work ahead of the third review of the current bailout program. Tsipras also urged the International Monetary Fund (IMF) to decide whether it will participate financially in Greece’s current bailout program by the end of the year. A reasonable date for the Fund to make up its mind was the end of the year, he said. Tsipras said that his leftist-led government would assess the country’s fiscal progress and promised handouts to the vulnerable, in case of outperformance. Asked about the relationship between the EU and Turkey, Tsipras said that it will be a tactical and strategic mistake for the European Union to halt Turkey’s accession talks. 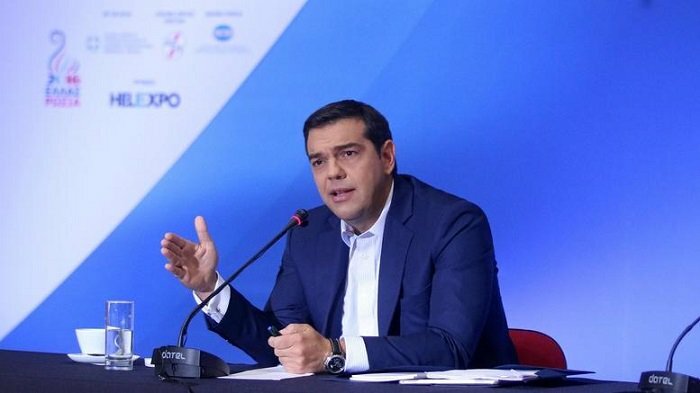 Tsipras said he disagrees with the view presented recently by some European partners who suggested abandoning talks, noting that Turkey is an important regional power and should remain engaged. At the same time, he urged Turkey to review its attitude towards Greece by stopping its provocations and airspace violations, and keep a more reasonable stance on Cyprus.